Germany-based tuner G-Power reveals two new exciting tuned up vehicles to honor the BMW Motorsport team for their win at the 2010 24 Hours of Nurburgring endurance race. 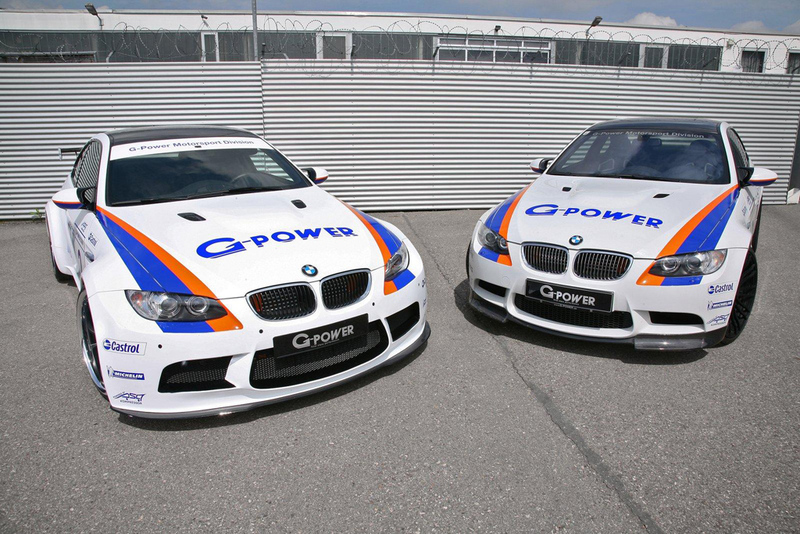 First one, G-Power M3 GT2 S for customers “looking for a vehicle along the lines of the Porsche 911 GT3 RS,” and a second one, dubbed G-Power M3 Tornado CS, labeled as the “civilian version” of the same car. More than a quarter of a century ago, the history of G-POWER began with the modification of BMW 02 models for competition use. 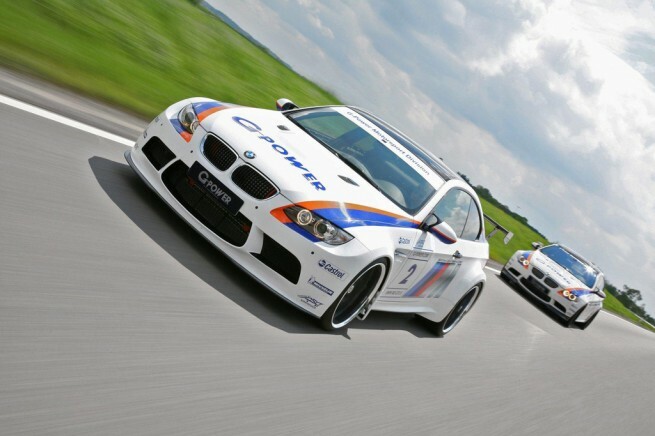 Today, this tradition is carried forward by the G-POWER Motorsport Division established at the beginning of 2010. The function of this newly founded department includes comprehensive care of our motorsport customers, as well as the development of the associated “sports equipment”. 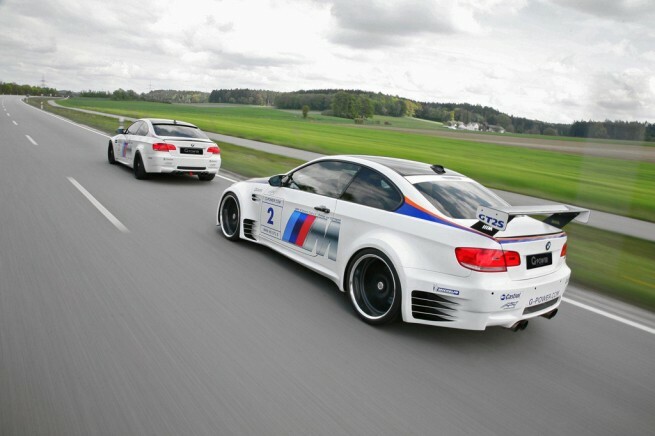 The spectrum ranges from reduced-weight and increased-performance road-legal M3 models for “private” track laps to full-blooded racing versions of the M3 with dry weight down to 1,300 kg and output of more than 700 hp, complete with all the associated kit required by private motorsports teams. Spectators at this year’s 24-hour race at the Nürburgring had the chance to admire the first creation of the G-POWER Motorsport Division. 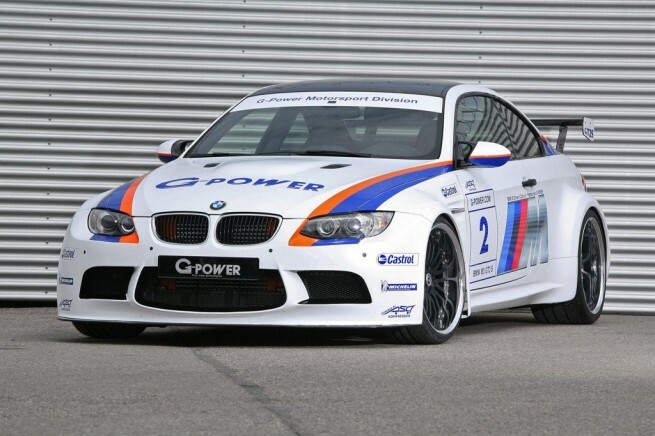 The G-POWER M3 GT2 S is aimed specifically at customers looking for a vehicle along the lines of the Porsche 911 GT3 RS, but have thus far been unable to find one in the BMW product line-up – thoroughbred racing technology combined with exceptional performance and fully road legal. 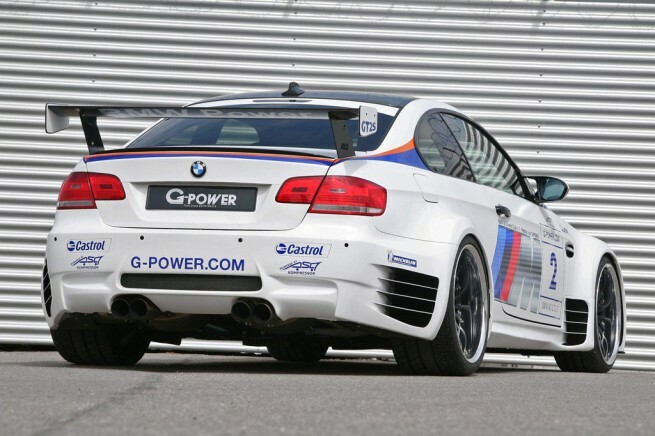 In answer to this demand, we present the G-POWER M3 TORNADO CS as the civilian version of the imposing G-POWER M3 GT2 S. When it comes to performance, both vehicles rely on the mighty SK II CS supercharger system. Following intensive development work, starting with CAD development, and followed by prototype build and extensive test driving and hot weather testing in the United Arab Emirates, this system sets new benchmarks in performance and quality. At the heart of the supercharger system is the high-performance ASA T1-522 radial compressor, which also runs in a similar format in the ALPINA B6 GT3 race car. A dual-flow carbon air intake, a substantial cast aluminium charge air cooler and a cast aluminium airbox provide the fundamentals enabling the maximum charge pressure of 0.5 bar to generate output of 600 hp and 580 Nm. In order that the increased output remains weight neutral, G-POWER uses a titanium exhaust system that delivers a considerable reduction in both back pressure and weight with its manifold and 2 x 100 dcpi metal catalytic converters. The weight advantage versus the series production exhaust system is no less than 26 kg. The engine pampering session with G-POWER is all it takes to set the G-POWER Clubsport variants apart from the production standard. A never-ending supply of torque is the name of the game once the forced induction M3 engine stretches its legs out of the mid rev range to storm all the way to the limiter as if fired from a catapult. 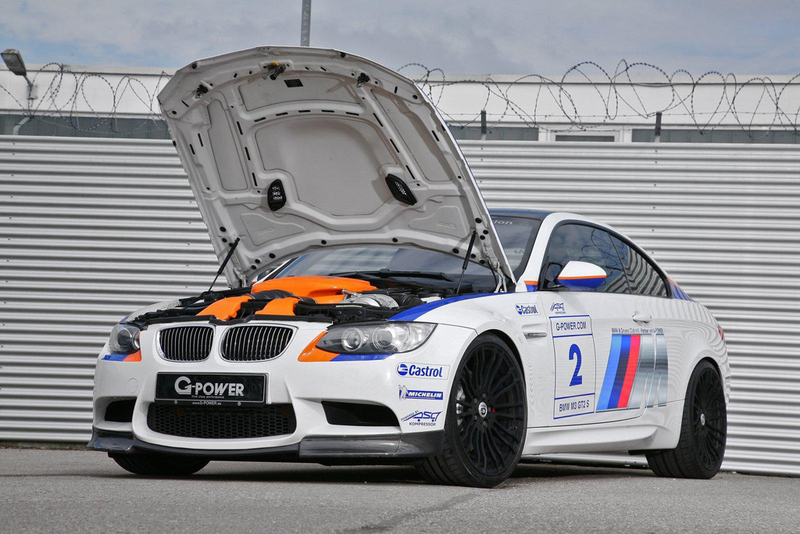 At the same time, G-POWER also gets to work on the flab, placing the BMW M3 on a strict weight loss regime. 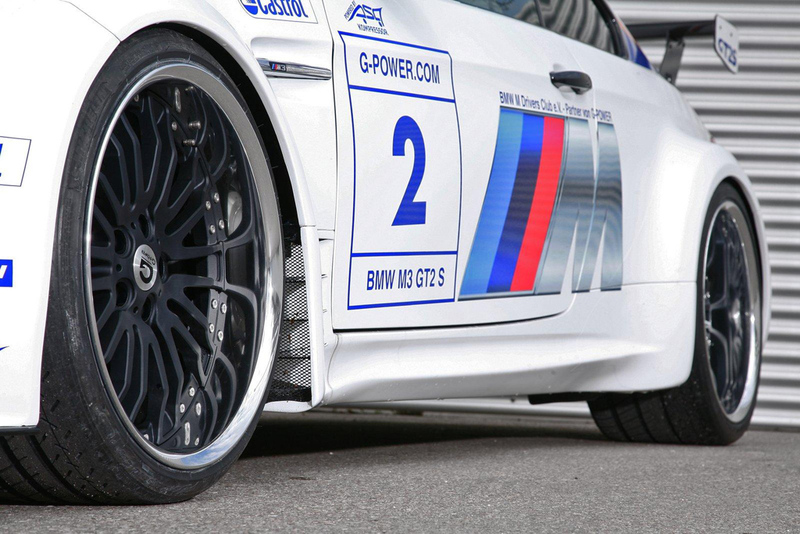 This is where the G-POWER GT2 S comes into its own, with a full carbon body kit bearing the current GT2 design. The front skirt, all four wings and the rear skirt are all replaced by ultra-lightweight carbon elements. A carbon front lip and the multi-part carbon rear spoiler also improve aerodynamic downforce. On the G-POWER M3 TORNADO CS, a carbon spoiler lip and rear diffuser make for reduced lift. A particularly nice touch is the running lights integrated into the rear diffuser. G-POWER was also able to make further savings in the wheel rims. All-new forged SIVERSTONE CLUBSPORT alloy rims measuring 9.0 X 20 inches and 10.5 X 20 inches for the TORNADO CS, and 3-part SILVERSTONE RS forged wheels measuring 9.0 X 20 and 11.5 X 20 inches on the GT2 S significantly reduce unsprung mass, thus delivering better acceleration and greater cornering agility. The TORNADO CS is guaranteed firm grip with the tarmac courtesy of 255/30 ZR 20 and 295/25 ZR 20 MICHELIN Pilot Sport tyres, while the G-POWER GT2 S is fitted with MICHELIN Pilot Sport Cup sports rubber measuring 245/30 R 20 and 315/25 R 20. Weight neutral, yet highly effective, is the G-POWER “CLUBSPORT” suspension package. It optimises the BMW M3’s road manners at race track level and encompasses a coilover suspension that is independently adjustable for both compression and rebound, a stabiliser kit for the front and rear axles, as well as support bearings that enable correction of camber or caster. On the inside of the vehicle, G-POWER has swapped the series production front seats for carbon racing buckets that not only support the driver in his battle with centrifugal forces, but are also each 12 kg lighter than their standard counterparts. Just like that, another 24 kg disappear. The G-POWER M3 GT2 S also goes without its rear bench, while the interior is upgraded with an individual G-POWER leather trim package. Leather and Alcantara applications in G-POWER orange with blue stitching give the sporty and spartan interior a touch of class and a luxurious feel. Overall, the G-POWER weight loss program for the M3 GT2 S adds up to around 150 kg, bringing the dry weight down to less than 1,500 kg. It goes without saying that the supercharged 600 horses take this in their stride. The GT2 S handles the dash from 0-100 km/h in 4.1 seconds. The G-POWER M3 TORNADO CS does the same trip in 4.3 seconds and from 0-200 km in 11.8 seconds. The top speed for both vehicles is limited by transmission ratios. With the 6-speed manual it stands at more than 320 km/h and with the 7-speed DCT at more than 330 km/h.